Doing good is the theme for RunGood in spring 2018, as the tour partners with Operation Gratitude. RunGood Poker Series released its schedule for spring 2018, and it comes packaged with a noble mission. 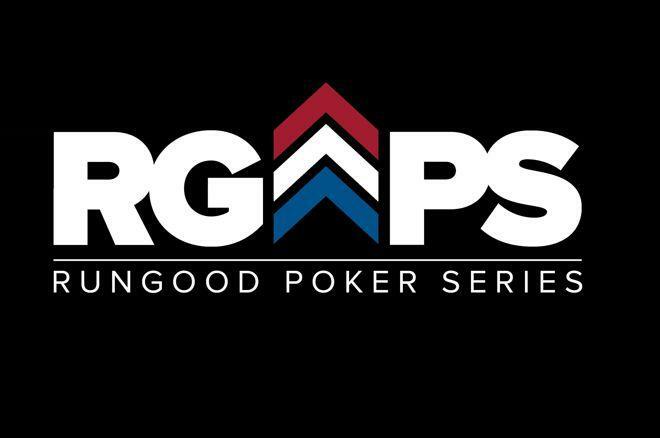 RunGood has partnered with Operation Gratitude, a military-focused charity, for its eighth season, which will feature a tour-high six stops starting Feb. 6 at Hard Rock Tulsa in Oklahoma. Throughout the season at all of the non-satellite final tables, RunGood will award every player special edition hats and the chance to personalize a care package for a deployed U.S. service member. Players who don't make final tables during the course of the series can still contribute by purchasing one of the special edition hats for $30, which will come with its own care package. The packages include a RunGood bag and a deck of cards, as well as non-poker essentials like personal hygiene items and snacks. "Every season we like to build a new theme," said RunGood founder Tana Karn. "Whether it's a season about boxing belts or an end-of-year trip, the underlying focus is to always give back an experience. This time, we're focused on providing the experience of giving." Karn and the rest of the RunGood crew got bit by the charity bug in 2017 when dire circumstances affected members of their own. RunGood Ambassadors Ray Henson and Mina Greco are based in Houston, and RunGood sprang into action when Hurricane Harvey hit. The disaster caused an estimated $125 billion in damages and RunGood was among many groups and individuals who responded to the call for help. For a week beginning in late August, RunGood donated 100 percent of proceeds from their clothing line sales to the disaster relief efforts. They wound up raising over $4,400, helped in large part by a big buy from RunGood regular Greg Jennings. Karn said Jennings was interested in helping out but had a bit of a conundrum on his hands. "I love what you guys are doing," Jennings told him. "I want to get involved but I don't need a lot of RunGood clothes." Jennings committed to a $1,500 order, but the next step was finding a charity that would accept the clothes. Karn found Operation Gratitude, a charity dedicated to assembling and delivering custom care packages for U.S. service members. Each care package costs about $15 to ship and is filled with $50 to $100 worth of items. The charity recently shipped its 2 millionth package. "I fell in love with their concept," Karn said. "It was a cool experience being able to see a piece of RunGood clothing across the Atlantic. I decided to do a whole spring season around it and try to get the players involved." Nothing, Karn stressed, is coming out of the prize pools, a point of contention that Allen Kessler raised when he criticized the fall 2017 RunGood series that awarded cruise packages that came from the prize pools. Karn simply wants to showcase what the charity is doing and give people the chance to get involved, be it now or on the next fundraising push made by Operation Gratitude. The Midwest, and in particular Karn's home state of Oklahoma, has a heavy presence of veterans, Karn pointed out. In the course of steering RunGood Poker Series through its seven seasons, Karn could always identify the vets by their distinct hats and jackets and thought it would be good to give back to that community. As a relatively newly minted father who constantly travels for work, Karn's life experience has also given him an appreciation for the plight faced by those deployed far away and missing home. "It's crazy what the power of giving and being cared about can do for a person's psyche," he said. "Just knowing that someone back home cares. It takes something so small to make a big difference to someone and who knows what the ripple effect is."